The government has announced an ambitious £15 billion plan to triple levels of spending by the end of the decade to increase the capacity and condition of England's roads, with the main new project for the Sheffield city region being a study into the viability of a tunnel under the Pennines to link Manchester and Sheffield. In March, consultation work began to explore the options for improving trans-Pennine road links between the Sheffield City Region and Greater Manchester. The Department of Transport (DfT) and stakeholders on both sides of the Pennines looked at the issue, seen as key to the economic fortunes of the North, with the DfT set to procure a feasibility study to look at trans-Pennine connectivity. The consultation followed from a meeting at the start of the year, when Parliamentary Under Secretary of State for Transport, Stephen Hammond MP, met with regional key figures including Members of Parliament from both side of the Pennines, the leaders of Sheffield and Rotherham councils, representatives from Barnsley Council and chambers of trade and commerce representatives. The study was set to be completed in the latter half of 2014 to coincide with the publication of its Road Investment Strategy at the time of the Autumn Statement. Published today, the strategy sets out a clear vision and a stable, long-term plan and performance expectations. It includes a commitment to a study into "the feasibility of building a trans-Pennine tunnel to address the strategic gap between Sheffield and Manchester, that would transform capacity and reduce congestion while still preserving the tranquillity of the Peak District." The Woodhead Pass corridor, with all of its problems, is the only real option for all vehicle classes. In 2012 an independent report by consultants URS identified a combined economic benefit of a 15-minute journey time saving over 60 years of £1.2 billion. In July 2009 the Highways Agency withdrew a proposed scheme for a bypass between Mottram and Tintwhistle after estimated costs climbed from £200m to £300m. This week, the government, announced that it will be investing £170m on the A57, A628 and A628 trans-Pennine route, including a bypass for the village of Mottram. Earlier this year, One North - a strategic proposition for transport in the North from the city regions of Leeds, Liverpool, Manchester, Newcastle and Sheffield - put forward proposals for a new 125 mph trans Pennine rail route by 2030, connected to the HS2 lines and the existing rail network, tunnelled as needed, linking the five city regions together with Manchester Airport and the ports. 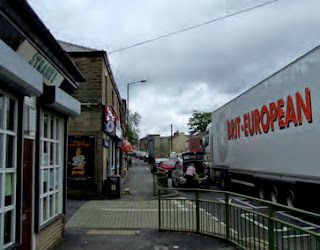 A new freight route across the Pennines was also being put forward. The target is to reduce the rail journey times between Sheffield and Manchester to 30 minutes. Deputy Prime Minister, Nick Clegg MP recently called for a fully upgraded and electrified network between Manchester, Leeds and Sheffield by 2025, better rolling stock to improve commuter routes in the north – also by 2025, and a programme of improvements for the Woodhead Pass road link between Manchester and Sheffield. Also in today's announcement, and building on the Smart Motorway schemes on the M1 between junction 28 and 31 and 32 and 35a through Rotherham, the Government has also announced a similar scheme from 35a to 39 which will eventually see hard shoulder running up to junction 42 at Lofthouse before Leeds.